Forgive me if my recent trend of recipes with alcohol is irritating. 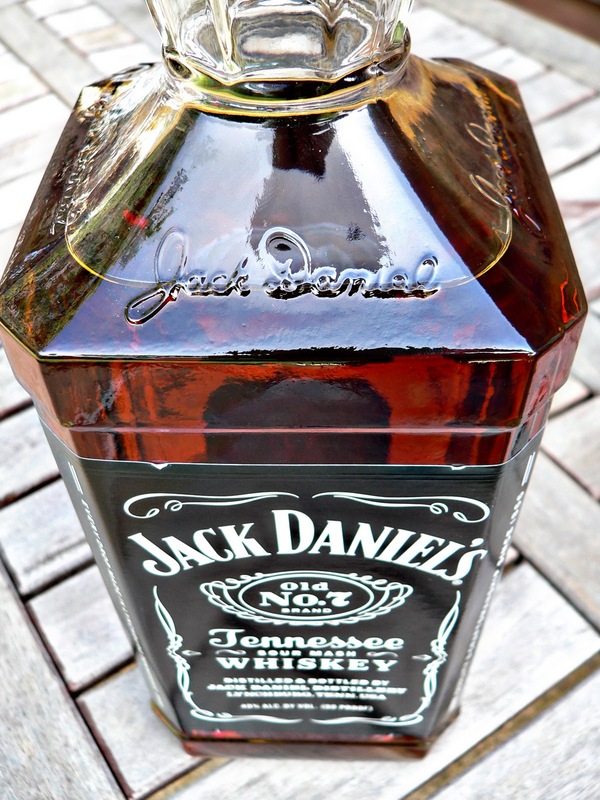 Last week I made an unofficial plan to try Jack Daniel's Tennessee Whiskey in recipes for every type of meat I could think of. 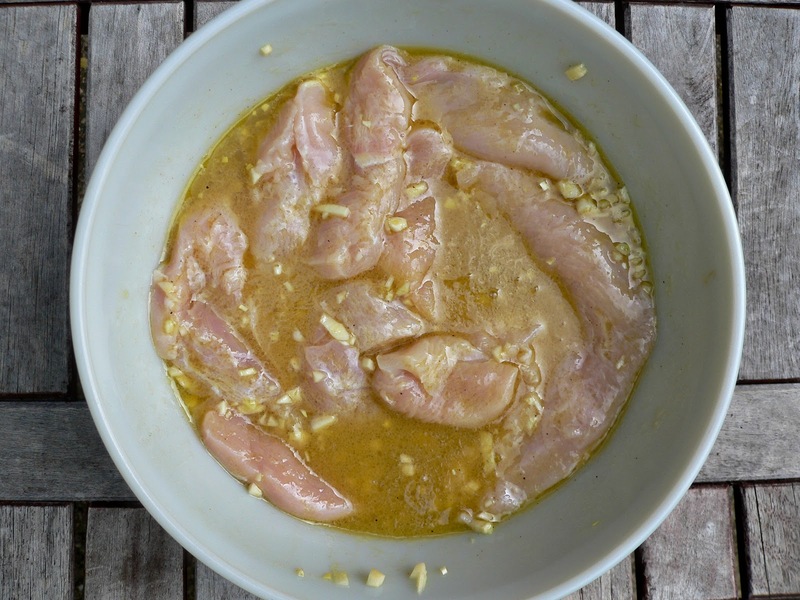 Today's recipe is a chicken marinade. Besides, what else would I do with this huge jug of whiskey? In an attempt to educate myself while cooking I was doing some research on the interwebs about marinating meat with alcohol. I had been under the belief that it was a fine idea to throw some of the hard stuff into a marinade to make the meat more tender. It seems some would disagree stating that the alcohol cooks the exterior of the meat in effect keeping the flavors of the marinade from absorbing fully into the body of the meat. I quickly gave up the debate and carried on with my plan of adding the hard stuff to the rest of the ingredients. All I can say is that the chicken turned out very tender and flavorful. 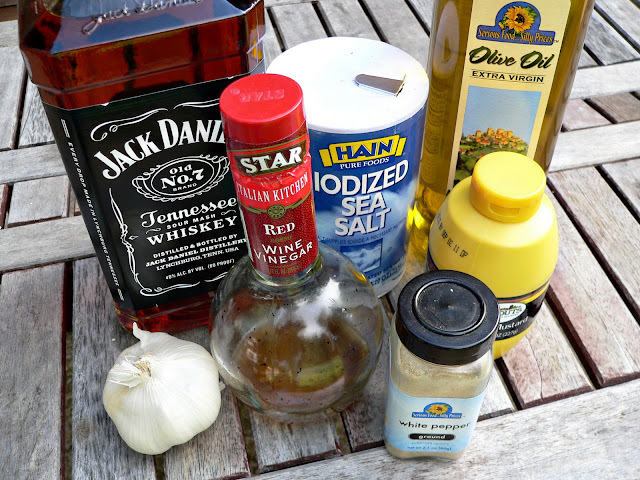 I cast my vote in favor of alcohol in marinades. Whisk together in a bowl. 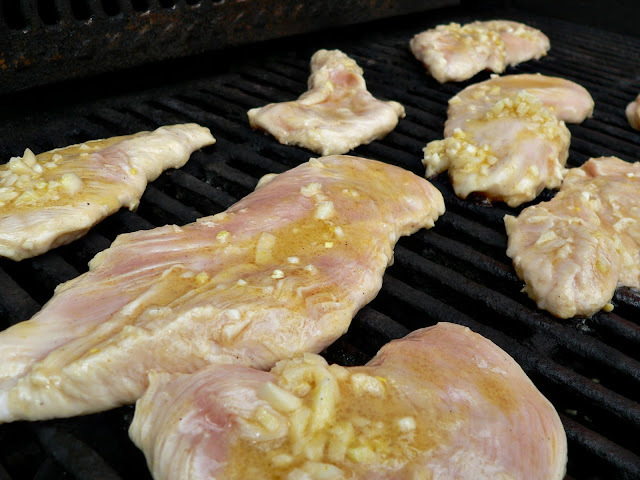 Add butterflied chicken breast fillets. Poke lots of tiny holes in the chicken with a fork. This helps the flavors penetrate the meat even further, just in case the alcohol was making it hard. Cover and refrigerate for at least one hour, up to four hours. 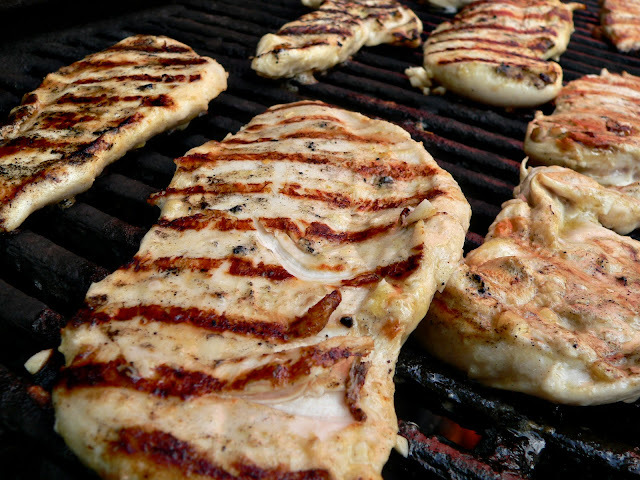 When ready for dinner, place the chicken breasts on a very hot grill. Be sure to carefully spoon the minced garlic from the marinade all over the breasts. Turn once and cook 'til done. 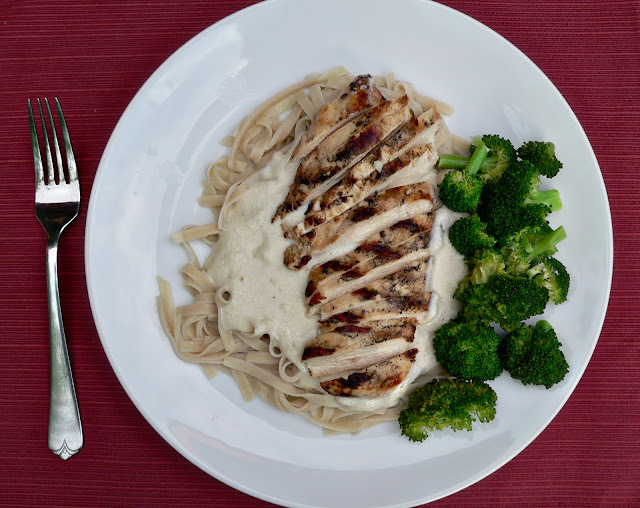 Serve over Fettuccine Alfredo with a side of broccoli. 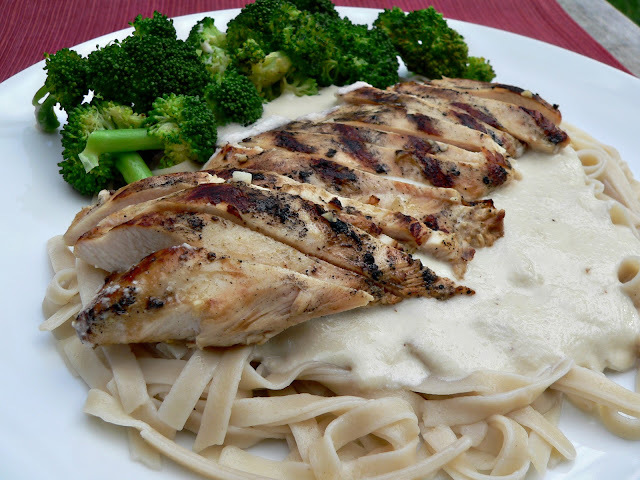 Here's the link to my gluten and dairy free Vegan Fettuccine Alfredo recipe. Yum-yum-a-yum-yum! Looks delicious! I share your vote that alcohol is fine to marinade with. I heard somewhere that the secret is not to marinade for a long period of time. I can't wait to try this!! Thank you for sharing this :-). I enjoy your blog/recipes! I've heard that too. I'm under the belief that even 30 minutes is long enough when marinating with alcohol.